The Leeward Theatre presented PlayBuilders’ 2015 Festival of Original Plays in January 2015. 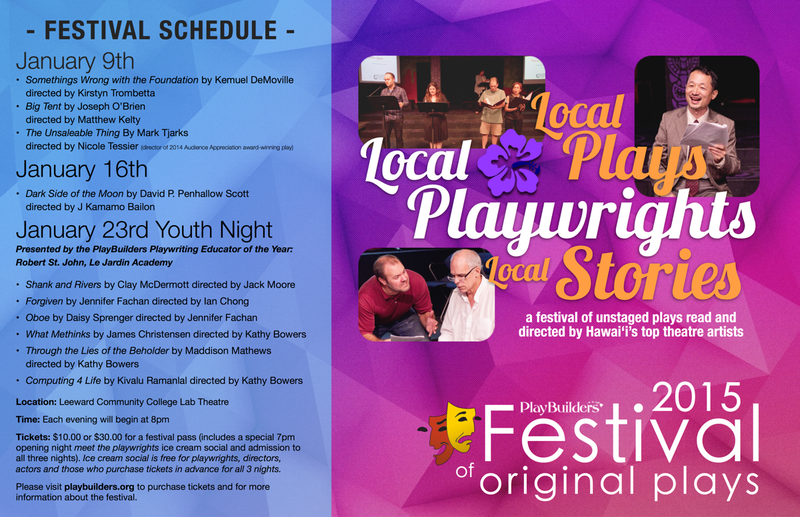 New, original works were written and submitted by outstanding local playwrights and were read by Hawai’i’s best actors. 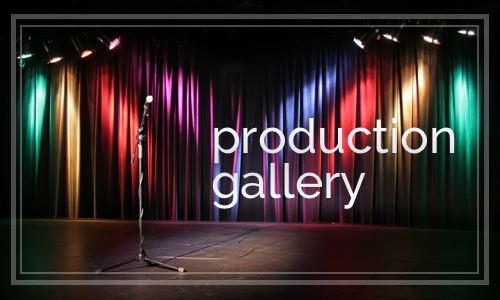 Directors from major theatre companies across the island volunteered their time and talent to insure that the quality of each presentation was outstanding. No play was presented more than once. This years selected playwrights were Kemuel DeMoville, Joseph O’Brien, Mark Tjarks, David Penhallow Scott, and for the first time, we have devoted an entire evening to youth. The 2015 youth night was presented by students of PlayBuilders Playwriting Educator of the Year, Robert St. John of Le Jardin Academy. The 2015 festival was held at the Leeward Community College Lab Theatre with the introduction of our first Youth Night. The 2015 Best Play Award was determined by professional adjudicators from Leeward Community College (Elizabeth Burdick) and the local professional acting community (Richard and Karen Valasek). Each entry received the 2015 Official Selection Award which was determined by PlayBuilders’ staff. The Unsalable Thing by Mark Tjarks (directed by Nicole Tessier) won the awards for Best Play and Audience Appreciation. The Best Youth Play was awarded to Oboe by Daisy Springer (directed by Jennifer Fachan), and the Youth Audience Appreciation Award was given to Shank and Rivers by Clay McDermott (directed by Kathy Bowers).